Stockholm hosts largest-ever international conference on global contest for water and energy. The 24th annual World Water Week in Stockholm attracted 3,000 participants from 130 countries to discuss the ties between energy and water. Click image to enlarge. STOCKHOLM — Of all the world’s developed nations, none faces a more urgent confrontation between rising energy demand and scarce water supplies than South Africa. Just as in other desert African nations, parched South Africa is desperate to generate more energy while somehow bypassing ecological limits on its water supply. One in every ten of South Africa’s 53 million residents do not have ready access to clean supplies of drinking water, according Christine Colvin, a freshwater program specialist for the World Wide Fund for Nature in South Africa. More than one in ten South Africans does not have access to electricity in a nation that has built 46,000 megawatts of electrical generating capacity, said Martin Ginster, a land, water, and environmental manager at Sasol, the big South African coal and fuel producing company. That’s the same level of generating capacity as Illinois, a big American industrial state with about one-fifth of South Africa’s population. Ninety percent of South Africa’s electricity is fueled by water-gulping coal. During two programs convened by the World Resources Institute, and held here on the third and fourth days of World Water Week, Colvin and Ginster described the conflicting paths that South African authorities are considering to respond to their nation’s thirst for water and energy. In one scenario, which the nation is pursuing with modest resolve, is to tap the country’s deep shale reserves for new supplies of natural gas. That involves fracturing the reserves with millions of gallons of water, though it is not certain that the fluid needed to frack those wells needs to be fresh water. The other new pathway is to build more than 18,000 megawatts (18 gigawatts) of new generating capacity from wind and solar photovoltaic plants, both of which require far lower amounts of fresh water. South Africa has set 2030 as the year it wants to reach that goal. Neither Colvin nor Ginster knew what it might cost to build 18 gigawatts of renewable generating capacity, though it’s not a terrifically large amount of power. Yet what was striking about their comments to an ample audience of executives, scientists, activists, and government officials from around the world was the agreement both shared about the need to actively pursue the clean energy program and be exceedingly cautious about fracking South Africa’s desert. Stockholm, Sweden’s 800-year-old capital, is a city of 900,000 residents and a gracious host of World Water Week. Click image to enlarge. 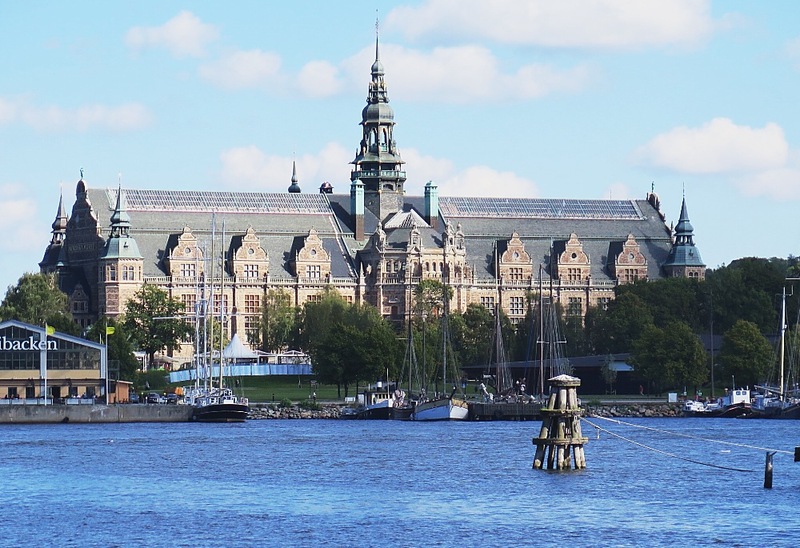 Such energy and water pragmatism, which is all too rare in the fractious United States, is what distinguished Stockholm’s five-day annual World Water Week conference, which ended on Thursday. 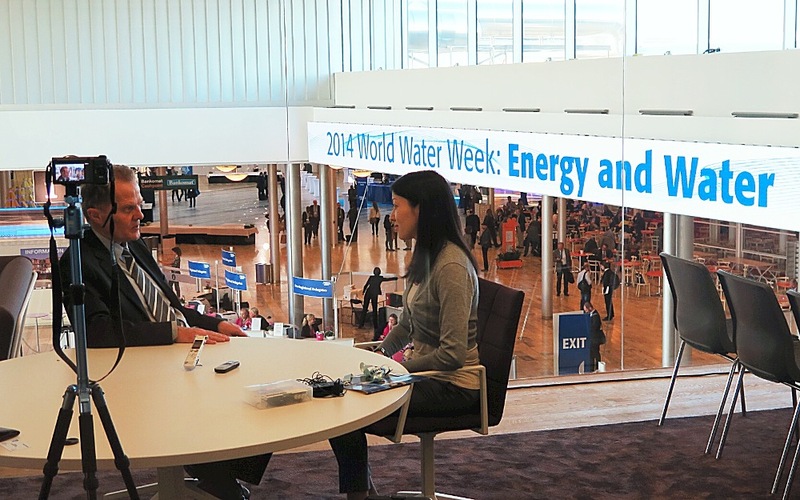 World Water Week this year focused on the ties between energy and water. In session after session more than 3,000 participants from 130 nations learned not only about the ecological and economic turbulence caused by rising energy demand in an increasingly dry world, but also the many, many business and government responses. In other words the situation, while serious, is far from hopeless. 1. Pressed by data that shows China could run out of water in its dry and energy-rich northern desert provinces, the Central Government approved a water conservation policy in 2011 that also is designed to curb water pollution. Among the provisions, according to Debra Tan, the director of ChinaWaterRisk.org, a first-rate data gathering Web site, is China’s Number 1 Document. The three-year-old document spells out China’s commitment to spend $US 600 billion over the next decade on water conservation and recycling equipment and practices, particularly in the coal production and consumption sectors, the largest industrial water users. Coal mines are coming under new water use and pollution standards that require operators to reduce water use, and cleanse and recycle waste water, Tan said. 2. The United Kingdom is not actively pursuing development of its shale gas and shale oil reserves, which the U.S. Energy Information Administration contends are significant. Jim Marshall, an engineer and policy specialist from Water UK, a British water industry trade association, told attendees on Tuesday that civic concerns about water supply and water pollution resulting from fracking have unnerved the British government. Though industrial interest in tapping England’s shale reserves is modestly keen, citizen opposition is fierce enough to dissuade drillers and government regulators alike from pursuing the enterprise. Nothing is really going on with fracking in England, Marshall said. 3. In the United States seven major shale oil and shale gas plays in Texas, the Great Plains, and in the Midwest and Northeast have helped to push American natural gas production to record levels, and now seems likely to help push U.S. oil production to more than 10 million barrels a day, also a record. Water supply and water pollution are the primary physical and political impediments to American shale development, stirring opposition campaigns across the country. The U.S. fuels industry is responding with new drilling practices, said Cal Cooper, the director of emerging technology at Apache Corporation, which is developing shale gas reserves in west Texas by fracking with produced water, not fresh water. Produced water is the liquid brine solution contained in underground formations that are conventionally drilled using horizontal wells. In his presentation to World Water Week attendees, Cooper said Apache developed a proprietary process and equipment to scrub brine and other naturally occurring impurities to turn produced water into solutions capable of being used in fracking. He said Apache also recovers a portion of the solution to reprocess and recycle for use in other fracking campaigns. 4. The Mekong River, which starts its 3,000-plus mile roll to the sea in the Himalaya range, is the target of intense hydroelectric dam development that has the potential to disrupt a freshwater fishery that feeds 60 million people in Southeast Asia, according to Stuart Orr, the European-based head of water stewardship for WWF. Laos is nearing completion of one major dam on the main stem of the Mekong, one of the world’s longest and largest rivers. A second is drawing closer to construction. Nine other major hydroelectric projects are proposed on the Mekong. Should the dams be built, the significant ecological, cultural, and economic results will be the severe disruption of freshwater fish migration patterns on the river. Those patterns support varied and large fisheries. Replacing the protein in those fisheries would mean enlarging the region’s farmed fish industries, and shearing millions of acres of forest to become pasture and cropland to feed livestock, Orr said. Meanwhile Laos and other nations are pursuing the new dams to sell surplus electricity to Asian nations, among them China, to gain currency for their national treasuries. 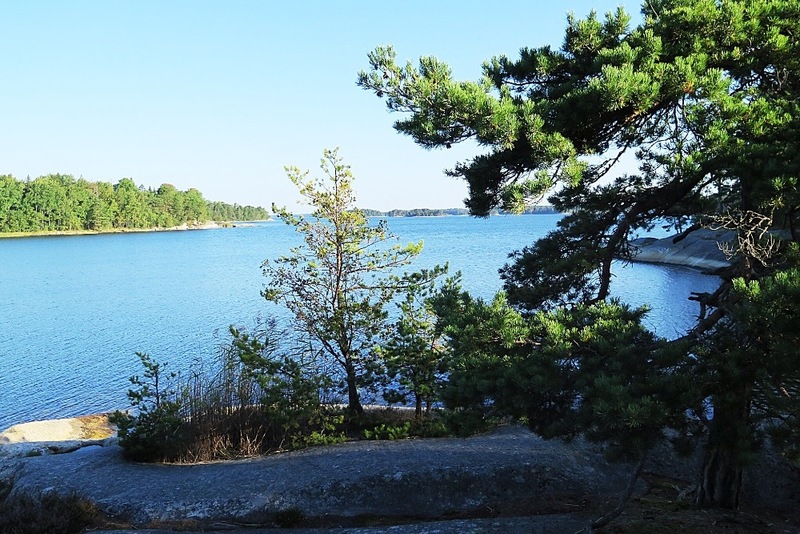 Outside Stockholm, an archipelago of forested islands greets visitors. Here, the granite-smooth shoreline of Finnhamn Island at daybreak. Click image to enlarge. Four years ago Circle of Blue posted Choke Point: U.S., the first online report by an independent news organization on the energy-water confrontation in the United States and Canada. Since then, and with the help of the Wilson Center, other Choke Point reporting has occurred in China, India, Mongolia, and the Arabian Gulf. The Choke Point reports built a new narrative about energy, food production, and water supplies in the era of climate change. What we also learned in Stockholm last week is how crucial the Global Choke Point project has been to articulating the issues, developing language to describe the confrontation over resources, building new narratives, and elevating the ties between water, energy, and food to global attention and priority.